There maybe a time down the road when you can’t speak for yourself due to a variety of reasons. If you want to make sure your voice is always heard, a power of attorney document is an option available to have someone that you trust make health care and financial decisions on your behalf. You may not be eager to think about what will happen if you are incapacitated, but you do want to be sure your loved ones are cared for and your preferences are recognized. If you live in Muskogee, it’s probably a good idea to consult a Muskogee estate planning lawyer to make sure your best interests under Oklahoma law are protected. If you’re considering drafting a power of attorney for yourself or helping a loved one to do it, we can help answer your many questions at Wirth Law Office – Muskogee. Our Muskogee attorneys are committed to meeting the legal needs of resident in and around Muskogee County, Oklahoma. A Muskogee power of attorney lawyer at our office can assist you in all your estate planning needs. 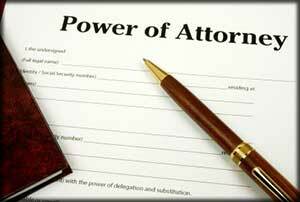 Is it a Durable Power of Attorney? A “durable” power of attorney is a document that is assigned to someone that shall become effective upon the disability, incapacity, or extended absence of the party drafting the document. The Uniform Durable Power of Attorney Act allows principals broad latitude to define terms under which a power of attorney may spring into action or be terminated. That’s why, a durable powers of attorney is sometimes called a springing power of attorney. Meanwhile, A statutory form power of attorney can be strictly limited to a specific matter, such as handling a real estate transaction while one is out of state, or can be made durable if the right language is included. The powers may authorize an attorney in fact to represent the principal in resolving claims or litigation, handling personal or family financial matters, making decisions about government benefits. There maybe a time in the future when you’re not able to make the decisions that are in your best interest when it comes to your healthcare. If you become disabled or incapacitated a power of attorney document can have someone act on your behalf when making those crucial medical decisions. If you are unable to speak your family member, friend or another party you designate can make a variety of decisions including selecting health care providers, living arrangements, review medical records, select treatment options, and make decisions about hospice. For a free consultation with a Muskogee power of attorney lawyer call the Wirth Law Office Muskogee estate planning attorneys at (918) 913-0725, or call toll-free at 1-(888) 447-7262 (Wirth Law). If you prefer, you can also use the box at the upper right-hand side of this page to submit a question or message.